In 1736, Mr. Larnage began the construction on Fort Picolet as a means of maintaining France's stronghold on the Haitian colony. With the Spanish realm so close at hand in neighboring Dominican Republic, the fort to the west of Cap-Haitien was an important means of keeping the French realm intact against the threat of invaders. When construction finished in 1741, the fort was a grey profusion, sticking out from the side of a rocky promontory, with walls seemingly un-scalable for their height and the danger they presented hanging over the cliff's edge and being out into sea. Atop their walls was a phalanx of cannons, trained and ready for any impending attack, and the steep steps, descending dangerously in most points were a further deterrent to those who would seek invasion. Such a finely built repellent, for all the effort put in, was very lightly used. Its cannons were never fired, and, aside from damage to the main wall sustained after an explosion during the 1802 French expedition, the fort remained largely undamaged. That is, until time, abandonment and disuse formed their own attack. 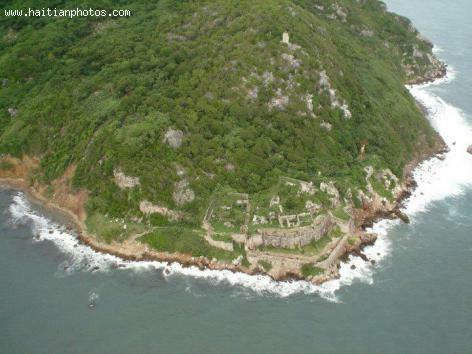 Today, Fort Picolet stands out, more green than grey due to overgrowing trees and creeping vines and moss. Unlike most other forts of its kind the world over, its usefulness did not give way to a stately dotage passed by with the dignity gained from people's interest and restorative efforts to bolster it. It has, instead, become home to vagrants and squatters. At least those brave enough to call home the new favorite haunt of vodou practitioners.